Fidel Castro could always count on sympathetic, if not outright fawning coverage in the international media. It's too much to say the media created Castro, but in his more than 60 years in the public spotlight many in the media, whether because of their ignorance or their indifference, could always be relied on to provide cover for one of the world's worst tyrannies. 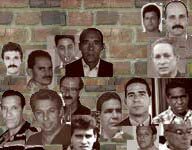 The irony was too much for Reporters Without Borders, or RSF, which for years has documented the Castro regime's persecution of Cuban independent journalists and how it has enforced a brutal information blockade on the Cuban people. Castro has been hailed as one of the leading figures of the 20th century and father of the Cuban people in many of the thousands of messages that followed the announcement of his death. But behind the revolutionary’s romantic image lay one of the world’s worst press freedom predators. The persecution of dissidents was one of the distinguishing features of his 49 years in power, and constitutes the harshest aspect of his heritage. The current situation in Cuba speaks to this. Cuba continues to be one of the worst countries in Latin America for media freedom and ranks 171st out of 180 countries in RSF’s World Press Freedom Index. Fidel Castro’s brother Raúl, who replaced him in 2007, is now also on RSF’s press freedom predator list. Cuba’s constitution permits only state-controlled media outlets. Independent news agencies and bloggers who try to dispute the state’s monopoly of news and information are subjected to intimidation, arbitrary arrest and draconian censorship. As a result, independent news agencies have often had no choice but to go into exile and post their news reports online from abroad. This is far from ideal because Internet access within Cuba is still very problematic (only 5% of households have internet access). Finally, with two journalists currently jailed, Cuba continues to be one of the few western hemisphere countries where reporters can still be found behind bars. Venezuela and Panama are the other two. But the situation was much worse under Fidel Castro himself. The father of the Cuban revolution imposed a climate of censorship and used often violent methods to prevent the circulation of any news and information at variance with that provided by the state media.